Social media has come a long way in a short period of time. It used to be a convenient way to connect with like-minded individuals and professionals beyond the traditional networking activities. But it has transformed into something much different and it can become difficult to wade through the clamor of trivial updates, conversations, and video links in order to find an oasis of real conversation promising the development of strong relationships. So how do you look past the long list of connect requests from people whom you barely know to find those you actually want to talk to? First, you have to actively work on constructing your ideal network of contacts. Look to those people who are influential in your field and in your organization and follow them. Check out the blogs and websites of professionals and authors who contribute online, weed out the weaker contributors, and follow the best places on Twitter and Facebook. And don’t just passively absorb what the authors have to say; engage in conversation with them and let them know what you think. Comment on their articles, give some feedback, and share some of your unique insight into the addressed topics. Instead of exclusively reading what others have to say on popular topics, write on the topics yourself. You can either join the conversation in industry publications or websites or start your own blog specifically for the purpose of sharing your thoughts on important matters in your industry. Not only does this open up avenues of discussion on LinkedIn and other social media sites, but other members in your field may reach out to you with comments of their own. You don’t have to delve into any arcane subjects, just write what you know and don’t be afraid to take stands. Once you’ve established yourself within the social media ecosphere, you can turn your feeds into rich sources of information. This can be accomplished by using keywords to find people, filter tweets and comments, and locate topics of most interest to you. Sure, there is a lot of trial and error involved when searching for the perfect keyword combinations, but eventually you will find conversations and topics of interest. The important thing is to get involved in the flow of words. Give your comments and opinions in conversations and build your list of connections with people you come to respect and to which you most relate. LinkedIn is the top web destination for career-oriented social media users looking to participate in relevant discussions, share articles, and communicate with members of the professional community at large. LinkedIn groups offer a long list of forums, both general and niche, for users to join and discuss germane topics. But before you jump in and make a request to join a group, make sure it is a good fit by observing some of the content and the composition of the group to make sure it matches your goals and interests. Even if you haven’t become a premium member of LinkedIn, you can still allow others to see that you have visited their profiles and vice versa. Take a look at this list at least once per week and reach out to these members when appropriate. This shows that you are engaged in building your professional network and interested in participating in meaningful conversations. 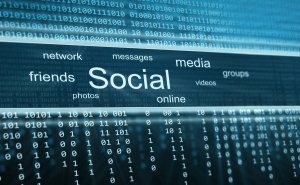 These are just a few approaches for leveraging social media for the betterment of your network. Stay up-to-date on social media trends so that you can continue to use the technology to your advantage and forge new relationships with influential people you may never have engaged otherwise. One of the most important tools for meeting your career goals is maintaining a healthy and growing network of contacts.